The following scene took place on a BA flight between Johannesburg and London. A white woman, about 50 years old, was seated next to a black man. Obviously disturbed by this, she called the air Hostess. Madam,what is the matter, the hostess asked you obviously do not see it then? She responded. You placed me next to a black man. I do not agree to sit next to someone from such a repugnant group. Give me an alternative seat. Be calm please, the hostess replied. Almost all the places on this flight are taken. I will go to see if another place is available. The Hostess went away and then came back a few minutes later. Madam, just as I thought, there are no other available seats in the economy class. I spoke to the captain and he informed me that there is also no seat in the business class. All the same, we still have one place in the first class. Before the woman could say anything, the hostess continued. It is not usual for our company to permit someone from the economy class to sit in the first class However, given the circumstances; the captain feels that it would be scandalous to make someone sit next to someone so disgusting. She turned to the black guy, and said. Therefore, Sir, if you would like to, please take your hand luggage because a seat awaits you in the first class. At the moment, the other passengers who were shocked by what they had just witnessed stood up and applauded. "Racism" is not good for human beings. We should understand that and treat all are equal. 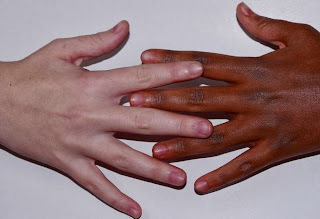 Don't separate human beings from colors. Thanks for sharing.